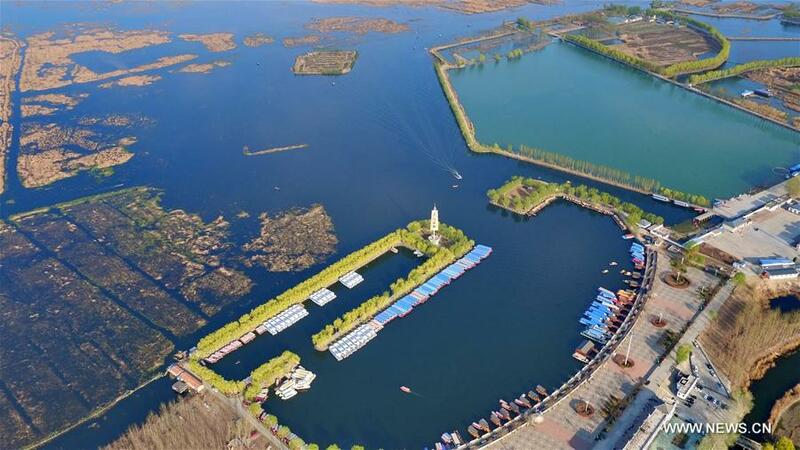 BEIJING, April 2 (Xinhua) -- China's decision on Saturday to set up the Xiongan New Area near Beijing will usher in a new chapter in the country's historic transitioning to coordinated, inclusive and sustainable growth. In terms of national significance, the area parallels the Shenzhen Economic Zone and Pudong New District, China's successful test beds for reform and opening up. The area will operate as a new growth pole for the country's economy, and also aim to curb urban sprawl, bridge growth disparities and protect ecology. It is unprecedented to have a special zone with such inclusive development value. It is of huge significance as coordinated and sustainable growth is so important for the country. The area is about 100 km southwest of downtown Beijing and will become home to facilities not related to the capital that were relocated from Beijing, where breakneck urban growth has given rise to "urban ills" such as traffic congestion and air pollution. After the new area takes shape, Beijing will focus on serving as the country's capital, easing its mounting population and pollution problems. The area will boost the economy in the surrounding region around the capital where Beijing's wealth and prominence have not spread. The three counties that the new area covers reported a combined GDP of about 20 billion yuan (2.94 billion U.S. dollars) last year, less than 1 percent of Beijing's economic output. After resources flow into the region, Xiongan's economy will make a big difference. Last but not least, Xiongan will help address the chronic pollution that restrains the region's development potential and jeopardizes public health. Protecting local ecology will be a priority, as the authority does not want to repeat the outdated practice of "pollution first, treatment later." People will live in a cleaner and safer environment. Xiongan will be an answer to China's growth conundrum: breakneck urban sprawl must give way to a balanced and inclusive development strategy. The creation of the area is the right decision at the right time. Xiongan will be more than a mere replica of China's past success; it will tell the tale of the future of a new city.